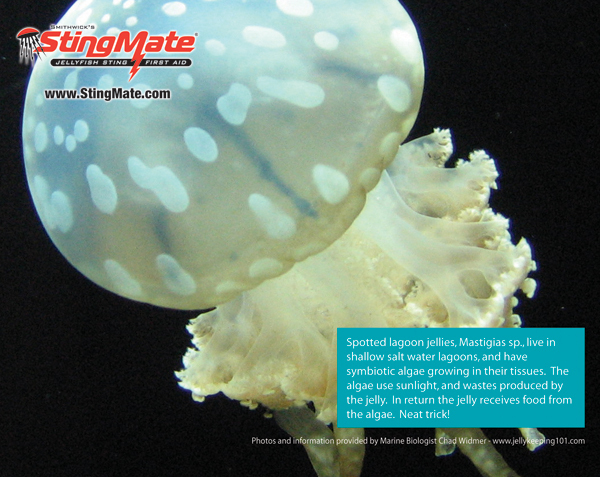 The spotted lagoon jellies, Mastigias sp.,live in shallow salt water lagoons, and have symbiotic algae growing in their tissues. The algae uses sun light and wastes produced by the jelly. In return, the jelly receives food from the algae. Neat trick ! !